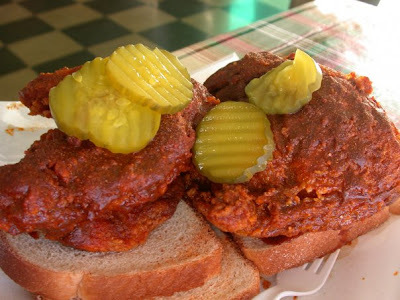 The celebrity judges for the 2009 Hot Chicken festival amateur cooking contests have been announced. Painturo's is local-grown Italian restaurant started by brothers Nick and Chad Painter and Nick's wife, Lisa. They first opened for business in their Lebanon location in 2000 (for reader's outside of the Middle Tennessee area, here that's pronounced Leb'nun), expanding to Gallatin in 2006 and Goodlettsville in 2008. They've won awards across surrounding counties, winning "Best Pizza in Sumner County" and "Best Pizza in Wilson County" just months after opening locations in each. In our quest for the best pizza in Middle Tennessee, we headed to the newest location: Mt. Juliet. Without my camera. Oops. I don't usually mention the dining experience before the pizza, but as I walked through the door (a door that was held open for me by a staff member), I was immediately impressed. Painturo's is an order-and-sit, full service / fast food hybrid restaurant - and these types of restaurants typically lean towards the fast food column in the areas of service, cleanliness, lighting and decor. Painturo's, however, was pleasantly opposite as the staff was very friendly, the restaurant was extremely clean and the service was prompt. The interior dining room imitated an outdoor alley cafe with wooden shutters and string lights. Now onto the pizza. 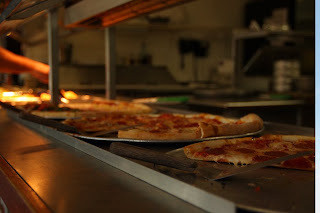 Painturo's offers "Everyday Pizzas" (cleverly named classics such as the Cumberland Calamity and D's Delight) as well as "Exclusive Pizzas" - pizzas that are described as "edible works of art" and include more non-traditional, California-esque toppings. In addition to the pastas, calzones, sandwiches, salads and desserts, you can design your own pizza; ours was a small pepperoni and cheese. The medium/thin crust pizza arrived piping hot. The modified St. Louis-style pie was divided with a diagonal party cut leaving diamond shaped "slices" to share. While unique, this cut makes it hard for crust lovers to find a good piece and there are plenty of odd, one-inch bits left around the edges. The crust had a soft base with a crisper, no-rise edge and a light dusting of cornmeal. It's a wonder that it held up with all of the mounds of gooey, hot cheese draped on top of this pizza. This is some of the highest quantity of cheese I've seen on a pizza with a subsequent pull away factor that was very high. The flavor was mild and unexciting - a simple mozzarella blend - but the sheer amount was incredible. It clung to itself and was almost chewy. On top of the cheese were small, square chunks of reasonably spiced pepperoni that were wading in their tiny pools of grease. The most notable element of the pizza was the sauce - though for me, that wasn't such a good thing. The sauce was slightly grainy with a bit of grittiness from the fresh spices. It was somewhat spicy, increasing in heat with each bite, but nothing could escape the overwhelming taste of fennel. Over the top on the fennel. Maybe you like fennel. Painturo's loves it. The spice was overpowered, the heavy presence of onion powder was overpowered, even the tomatoes were overpowered by the heavily aromatic FENNEL. So, the dominant sauce flavor killed it for me. But that shouldn't stop you. Give it a try and tell me what you like. I would certainly go again and try a different pizza. The weekly forecast is full of 90 degree weather and June 21st officially marked the first day of summer. The kids are splashing around in the public pools, the ice cream trucks are roaming the neighborhoods, and people every where are getting girl drink drunk on patios at their local hang outs. Labels: girl drink drunk, Music Thursdays, what's that in the pool? 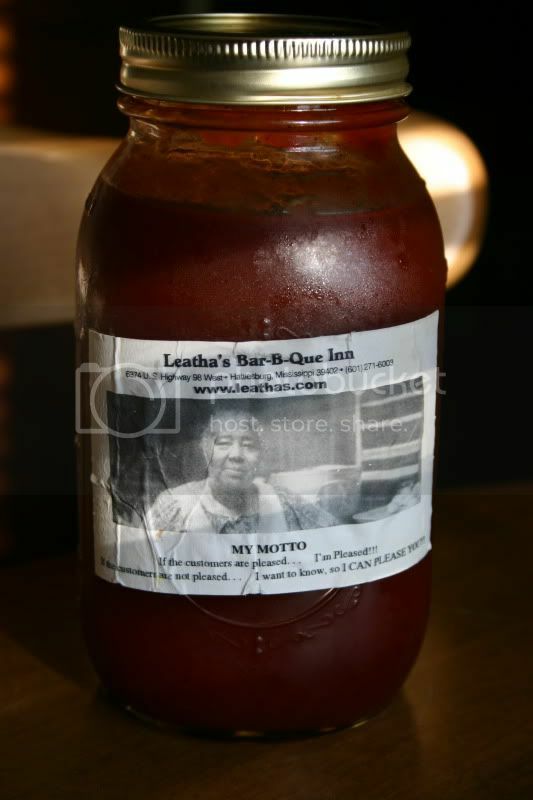 I'm not sure about Leatha's restaurant (Leatha's Bar-B-Que Inn in Hattiesburg, Mississippi), but Leatha's sauce is down home. This stuff is sold in Ball Jars with a black and white sticker slapped on, ya'll. There are no ingredients. There is no nutritional info. There is no barcode. Just Ms. Leatha's pretty face and...a web address?!! Don't worry, the website seems to have diappeared into the ether. Websites aside, this jar would be right at home within the pages of Wilber W. Caldwell's Searching for the Dixie Barbecue. Okay, but how does it taste? Delicious. This is definitely a sweet one. It's got a lot of tomato flavor, and it's got sugar for sure, but...maybe something more? I heard a rumor that grape jelly is one of the ingredients. I can't confirm or deny that, but let's just say there is a certain candy quality to Ms. Leatha's magic. It's got a little bit of pepper and heat, but nothing strong enough to make you forget that sweetness. 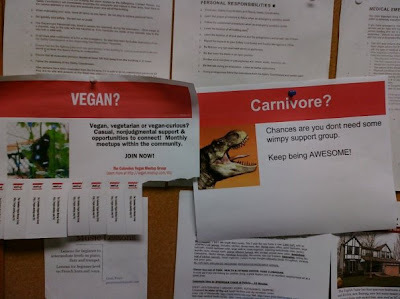 I bet it would make some ribs taste mighty fine. We’ve left ourselves to our own devices. But it’s one style that cannot miss. If you are in the area stop by and cheer on our team Hot as Cluck. I also want to give thanks to Andrew J. for helping us come up with the name. Have you been spotted in your Ulika shirt? Send us a pic and we will post it. 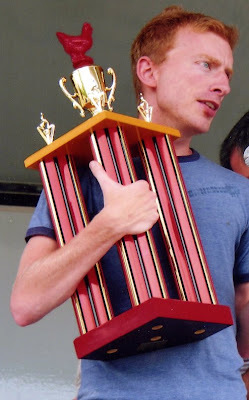 Being from Middle Tennessee, when I tell people that I do competition bbq, they immediately associate the sport, errrrr...hobby, with a single competition: Memphis in May. The first question is inevitably, "Oh! Do you cook at Memphis in May?" Then I must begin the well-rehearsed answer of "No, what we do is a little different. 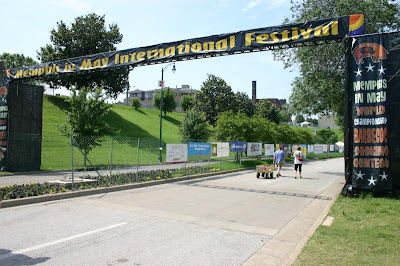 Memphis in May is its own style and blah, blah, blah....." and I begin to lose them. But now, I'm thrilled to have the opportunity to answer that question a little differently. When BP and I were given an opportunity to participate in the event this year, we jumped all over it - especially since it was Rod Gray from Pellet Envy who invited us to help him in Memphis this year. In a KCBS event, it is not uncommon for someone to cook by themselves. 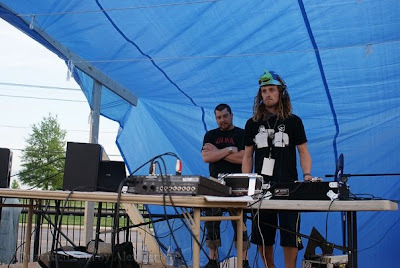 With the onsite judging that takes place at MIM, however, it would be nearly impossible to do everything with 1 or 2 people (most teams consist of 20 plus team members). 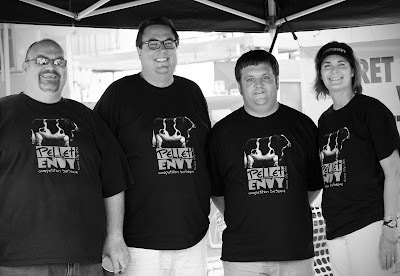 BP and I were honored to be members of Pellet Envy for the weekend and happy to help. The number of team members is not the only difference between MIM and KCBS. A majority of the teams that compete at MIM only compete in this one contest. That means that they really shell out for this one event. Teams arrive a week early just to get things set up and some teams are more focused on their parties than the bbq. In fact, when BP and I first arrived, our neighbors were overheard commenting on how Pellet Envy was “just here to cook”, meaning that no big elaborate parties were going to be taking place at our site. That was all fine with us. We conversely wished that they weren’t there “just to party”. Their music was so loud that you could not even have a conversation and it was some of the worst music that I have ever heard. Luckily, we were able to take shelter in Rod’s trailer, but the occasional bass drop had us holding onto our seats as the entire trailer shook. Another obvious difference between MIM and KCBS is the onsite judging. This was my first time to experience anything like this, and for a cook, it is really just a dog and pony show. Rod did a great job with it and explained why he cooks with pellets and gave all the judges a much needed break inside his air conditioned trailer. All of the judges seemed to enjoy the product and we ended up finishing 14th overall out of 106 rib teams. We were very happy with the results for competing in Memphis for the first time. Overall it was a great experience. Rod and his wife, Sheri, were great hosts and we had the opportunity to see our friends with Peg Leg Porkers (thanks for the party on Thursday night). We also got a chance to meet Chris Lilly of Big Bob Gibson’s and his new chef Ken Hess (thanks for the dinner on Friday night). Marc and Natalie from Grease Lightning also hung out for a while and enjoyed some of Rod's brisket (you didn't think a KCBS guy could go without cooking a brisket at a contest did you?). I want to thank Rod and Sheri for having us assist them during the weekend. I had a chance to see why Sheri has picked up the nickname of “The Closer”, and let me tell you, she really puts the Envy in Pellet Envy. I also want to thank Karen Walker for the use of her pictures in this post. Nothing says Memphis like ribs and blues. P.S. - Sorry it took so long to get this recap up. I am sure ya'll have been on pins and needles. Congrats to Abigail for wining the BBQ Sauce of the week. I will be sending you a complimentary bottle of Kim's Foods Original. 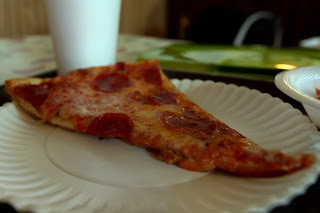 I had only heard of Sal's Pizza and was directed to try it by one of our blog readers (thanks, Milner). 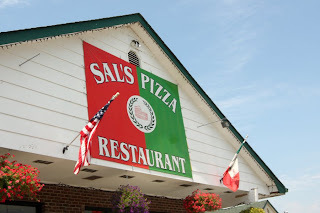 According to that ever-reliable fountainhead of knowledge that is the internet, Sal's was originally opened by THE Sal - the Sal who opened the original Picnic Pizza in the Stones River area, which then moved to Antioch and became Angelo's Picnic Pizza to be run by his brother, Angelo, and now Nick, Angelo's son. You with me? Unfortunately, I cannot reliably give credit to or debunk that legend at this time (though I'll keep on it) as the Sal's we know today is under new, unrelated ownership. While we're certainly interested in the history, we're here for the pizza. 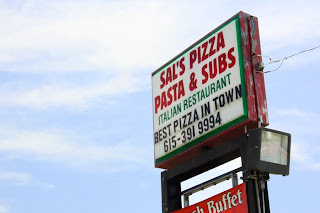 Sal's is the favorite pizza spot for many of our East side neighbors (Donelson / Hermitage was "East Nashville" before "East Nashville" was cool), and when I mentioned my mini road trip to Sal's to some family and friends living nearby, they all came to meet me. Sal's starts with a medium-thin crust that is dense with a little interior fluff and a very mild buttery taste. It is slightly thicker than some of the other thin crusts we've tried and leaning more towards the chewy side than the cracker crispy side. It's covered in a heavy, chunky tomato sauce that is clearly house-made with visible spices and bits of tomato. The sauce is warm and tasty with a somewhat sweet introduction and a delicate amount of heat that lingers and builds with each bite. The pepperoni has a bit of the spice as well, topping the pie in thin-cut and very juicy slices. The build up is good, but the cheese is our winner today. It is an absolutely delicious milky mozzarella that is thick and globby with a high pull away. As I tried different slices from different pies (even with other topping combinations) it was always tasty and surprisingly good in the various quantities and pairings. The cheese alone is worth the drive. There is ample seating room in the dining area where you can gaze around the room and be certain that you are NOT in Italy with the gold-framed photos of famous Italian (pronounced eye-tal-yun) landmarks, actors and mob movies. There is a noted "grapevine" theme carried from the wallpaper boarder to the coated tablecloths. Now here's the part that I don't like. Please note that this is ONE person's experience on ONE afternoon, but I might have been slightly turned off by the lack of cleanliness in the dining room. And I'm not just talking about previous patrons who didn't put away their trays. I'd start with some mid-shift basic mopping and table wiping. Perhaps it was just one busy afternoon, but I've got to give you my honest opinion. Overall though, the pizza was hot, fresh and tasty, the meal is very competitively priced and the service is not overly friendly but also not shouting at each other. I definitely recommend a visit. The traffic is still backed up and the wookies are scampering about so you know it can only be one thing. 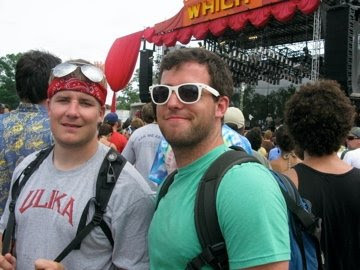 That's right, it's time for Bonnaroo. 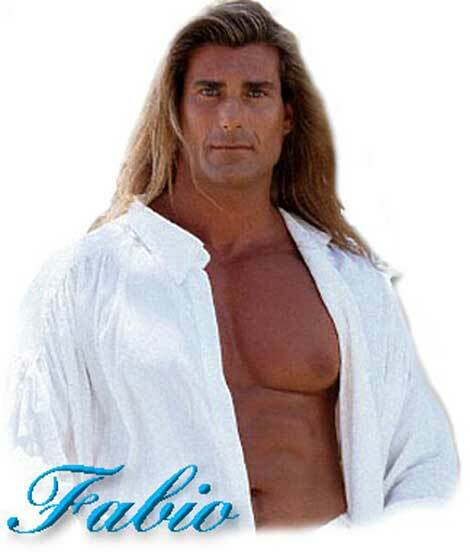 I hope everyone has a great time this weekend. The "Kim" in Kim's Foods is Kim Rogers. She began making barbecue sauces and rubs in her home state of Colorado in 2005. After a few years of striving, Kim's Foods has begun to receive recognition. 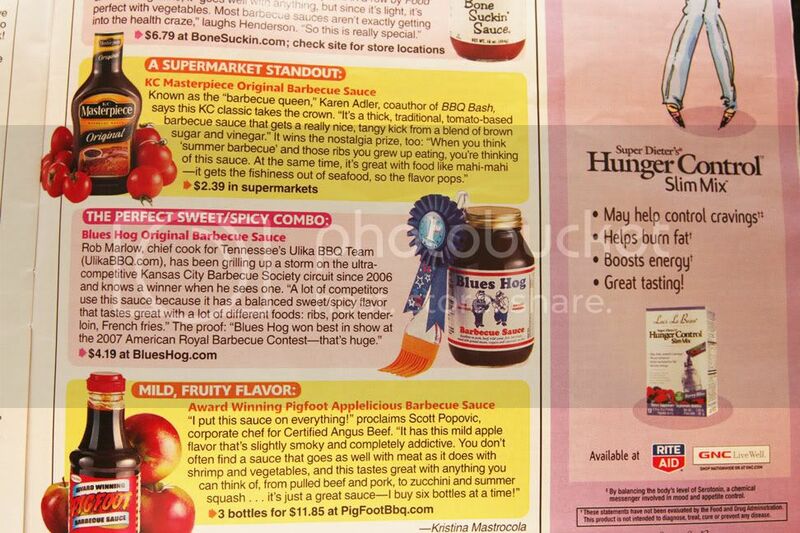 Their "Original" barbecue sauce won third place in the "Low-Carb" category at this year's Scovie Awards. Because it's a little lighter on the sugar, this sauce definitely leans a little more on the tanginess of mustard and vinegar. But make no mistake, it's a ketchup-based sauce, with lots of tomato flavor. It's just a little bit spicy, too. 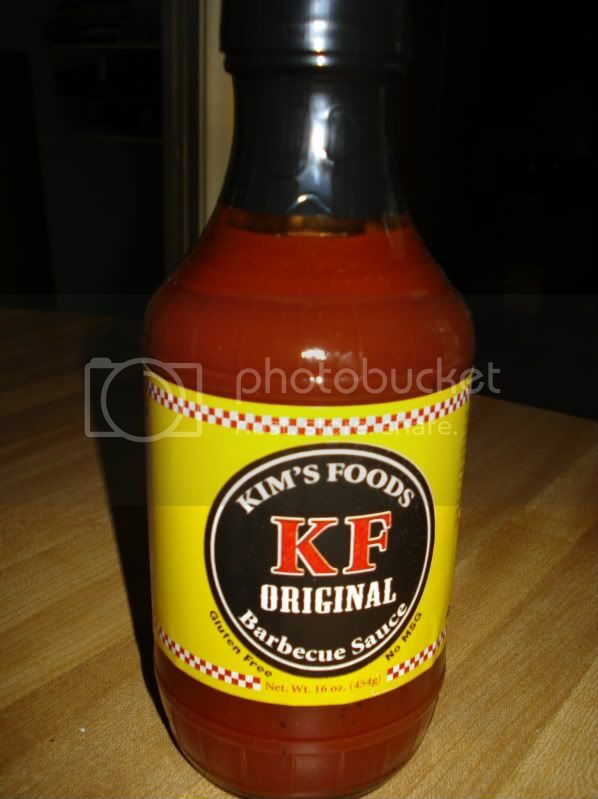 We have a bottle of Kim's Foods SPICY Barbecue Sauce to give away to one of our readers. All you have to do is visit the website and post a comment here. One winner will be randomly selected on the following Tuesday night and sent a free bottle of sauce. Just leave an email address so that we can contact the winner. Congrats to SCS for wining the BBQ Sauce of the week. I will be sending you a complimentary bottle of Bill's Black Label BBQ Sauce . Wilson County lies directly east of Metropolitan Nashville. Among other things, it is known for its phenomenal County Fair, which some people everyone believes is actually better than the State Fair in Nashville. We are sad that this year's Wilson County Fair will not include the Amazin' Blazin' BBQ Cookoff, which has long been one of the best-run contests in this area. No doubt the fair will still be a great event and worth the short drive from wherever you are in Middle Tennessee. So what about the barbecue in Wilson County? Let's start in Mount Juliet. The first place I wanted to go was a barbecue joint called Burr's that's kind of off the beaten path. Although it hasn't been around that long, it's about as close to what I imagine an old-school country barbecue joint was like as you'll find these days. It's in a tiny shack a couple of miles off of Mount Juliet Road. Imagine my disappointment when I found it to be closed up on a Saturday afternoon. And what's more, according to the sign, it's not even Burr's anymore. I drove on into Mount Juliet to see about Burr's newer location. Also closed. Not good. The website is still up, so maybe they are just doing exclusively catering. Anyway, they will be missed. As far as I know, Burr's was the only independently owned barbecue restaurant in MJ, so it's on to Lebanon. As you come into Lebanon on Highway 70, it's hard to miss the Snow White Drive-In on your right. This place is old school all the way, with curb service, a jukebox, and classic car cruise-ins on Saturday nights. Like so many drive-ins throughout the South, in addition to the standard burgers, dogs, fries, and shakes, Snow White serves barbecue. In fact, it is their specialty. The barbecue sandwich is very generously sized. The pulled pork has very good flavor - it doesn't skimp on the smokiness or the seasoning. On this day, the meat was a little on the dry side, so the thick, sweet sauce that came on the side was put to good use. Overall, not a bad sandwich. And be sure to try the made from scratch onion rings while you're there, too. James BBQ is closer to downtown Lebanon in a very unassuming building on York Street. If you're not looking for it, chances are you won't know it's there. But James Reeves has been serving barbecue here for over 30 years. Inside, the place is dimly lit and sparsely furnished, and there is a cast of characters hanging out, chewing the fat. James is manning the flat top, and when you order your sandwich, he carefully removes some pulled pork from a container and places it on the grill, splashing it with a vinegar-based sauce. Both sides of the bun go down on the grill, too. The resulting sandwich is a tender, tangy treat. The peppery sauce is a great complement to the pork, bringing out the natural flavor and keeping the overall product tender and juicy. The homemade fried pies are not to be missed either. On the day I visited, they had apple and peach, and both were perfection - perfect flaky crust, perfectly sweetened and spiced fruit filling. I heard a rumor that James sometimes has sweet potato, so that is reason enough for a return visit right there. In contrast to James' small bare bones establishment, Lil' Paul's Smokehouse is a large, well-oiled machine. It's on Park Avenue near the fairgrounds, and it shares a parking lot with Jerry's Mustang Parts. The menu at Lil' Paul's is quite expansive. I went with the sampler platter, which included pulled pork, ribs, chicken, and chicken wings. Because of The Slick Pig, I am permanently intrigued by smoked chicken wings. Yes, that's a lot of animal protein on that plate, isn't it? Let's start with the pork. The pulled pork was solid. As with everything on the platter, it had plenty of smoke flavor. It was super-tender, and there were plentiful bark pieces. Perhaps it could have been seasoned better, but with two kinds of sauce on the table (sweet ketchup-based and tangy sweet mustard-based), there was plenty of flavor to be added. The ribs were kind of frustrating. On one hand, these ribs had some of the best flavor of any ribs I've had in these reports - great pork flavor, perfectly seasoned, the right amount of cooked-on sauce. On the other hand, they were significantly overcooked, to the point where they were impossible to even pick up (I realize that for a lot of people this is a good thing). The chicken wings? Eh. They were pretty good, but once you've been exposed to the Gold Standard, nothing else can compare. In case you have not yet picked up your copy of Woman's World Magazine this week, here is a little sneak peek. Bonnaroo is just around the corner and that means that Shakedown Street will be hopping very soon. Bill's Black Label BBQ Sauce hails from North Carolina - a state squarely divided when it comes to barbecue sauce. Operating out of Cary, which is right in the heart of The Triangle, Bill's could have gone either way, but this is definitely a Western-style sauce. While it's still relatively thin like a vinegar-based sauce, Bill's has plenty of sweetness, with a ketchup base and a healthy dose of brown sugar. But my favorite part is the "peppery pop" that the label advertises. After an extended sweet and tangy opening salvo, the coda of pepper which follows is fresh and invigorating. What makes it unique is that it's not chipotle or habanero, but black pepper, and lots of it, with some red pepper added for variety. It's not so much hot as...peppery. Overall, an excellent sauce - definitely one of my favorites so far in this ongoing series. 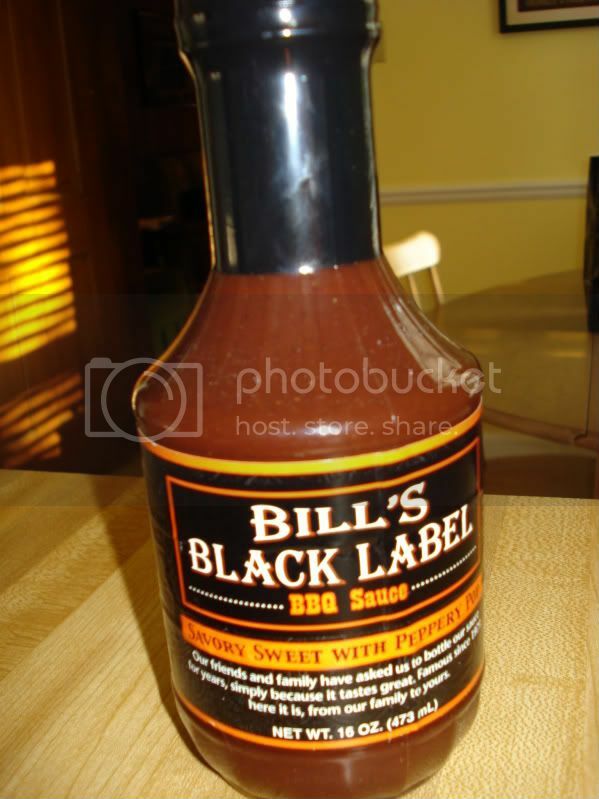 We have a bottle of Bill's Black Label BBQ Sauce to give away to one of our readers. All you have to do is visit the website and post a comment here. One winner will be randomly selected on the following Tuesday night and sent a free bottle of sauce. Just leave an email address so that we can contact the winner. Congrats to MandoRon for wining the BBQ Sauce of the week. I will be sending you a complimentary bottle of Heffy's BBQ Sauce.